The smallest (in age too) sister popped into Port Elizabeth for a visit. 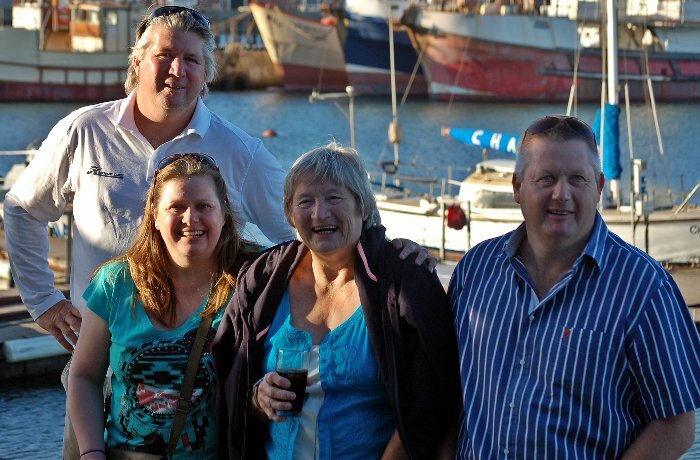 We popped down to the Leatherworks for a braai with the clan – good times. Alan, Nicola, Annette and Michael. 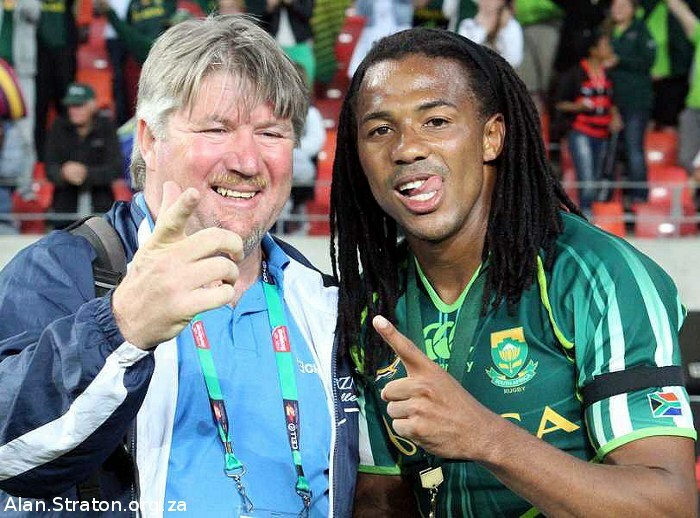 It took 3 attempts before South Africa won the home leg of the HSBC Sevens World Series on 8 December 2013 by beating New Zealand 17-14 in the final game at Port Elizabeth’s Nelson Mandela Bay Stadium (Match report HERE). Whilst the Springboks were on their victory lap around the stadium thanking the spectators for their support I got the chance to have a quick photo – thanks to Derrick Spies – snapped with a son of Missionvale, Port Elizabeth, Cecil Africa, who has been responsible for many thrilling moments on and off the field. Cecil also does some great and hilarious impersonations of hapless media persons interviewing members of the team, nuff said. As I post this image I cannot help but think of my Mother, Annette who openly tells me that Cecil Africa is hot, hot, hot – not quite the thing someone my age wants to hear from his Mother as I like to think that she improved on the feat of Mary Magdalene by having FOUR virgin births ………..
A local chapter of the Due North Rum Club meets every alternate Staurday at the Algoa Bay Yacht Club, situated within the Port Elizabeth harbour. 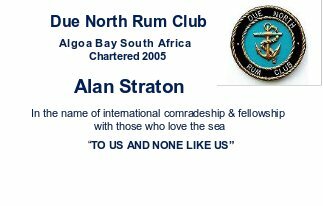 Membership of the Due North Rum Club is open to those who can stay the pace and have an abiding interest in the sea. It helps if you were in the Navy or military. Members celebrate the tradition of the ‘naval tot’ and contribute to society where they can by undertaking projects to fix stuff around the Yacht Club and within their communities. I have attended a few gatherings and recently was given the status of affilliate member. I proudly wish to inform you that you have been voted ‘in’ as an affiliated member of the Due North. Please do join us at a tot one these days. I will send you this membership card under separate cover for you to laminate and carry in your purse at all times ! “Giving Something Back – Live for Life”. In the name of international comradeship and fellowship with those who love the sea “TO US AND NONE LIKE US”. Just one question Warwick – that reference to a purse should I cut my hair in a short back and sides to qualify to carry a wallet? The Mourning of the Black Tot – Yo Ho Ho and Bottle of Rum. How to fly the National Flag at Half Mast. FITS – How an E-mail Conversation Led to the Writing of Local Book.